While engaging in my dissertation research, a small qualitative study focused on the writing experiences of university custodial staff, I found that, despite often regulatory conditions, my participants wrote because writing was a valuable part of their working and personal lives. 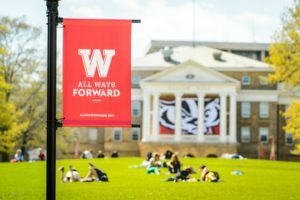 In order to support their position as writers, UW-Madison’s community writing center, Madison Writing Assistance(3), sponsored drop-in writing center sessions designed specifically for the custodial staff. 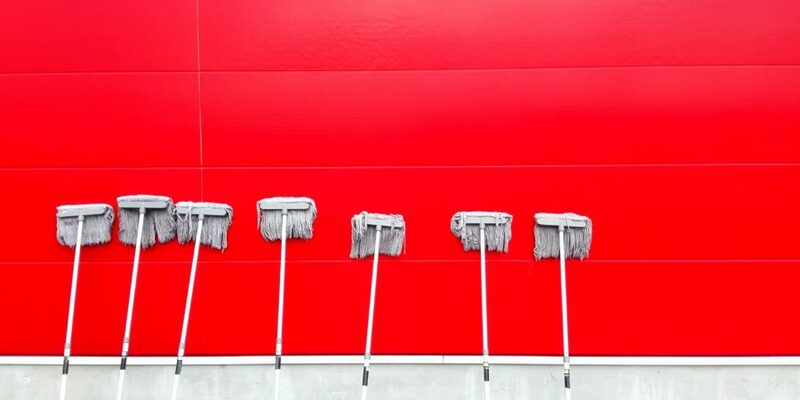 After working with individuals from all three shifts and various custodial departments on campus, in this blog post, I reflect on my experience planning and executing the sessions as well as how writing centers might continue to support this work. Community writing centers have long acknowledged the every-day writing happening in people’s lives. While designing the sessions, I was influenced by community literacy scholarship which advocates a rhetoric of “engagement” (Flower 2008) and “respect” (Rousculp 2014) and acknowledges the knowledge and expertise writers bring to tutoring sessions. Our sessions were open to all members of the custodial staff and all kinds of writing. Writers chose what they wanted to work on and the two tutors elicited their expertise about, for example, work tasks for which they wanted to write. While these practices by no means erased the power differential between tutors and writers, more than one writer described feeling validated that their writing and their experience writing warranted thought and discussion. Community writing scholarship also informed the ways in which we designed material conditions (Vieira et al. 2007; Rousculp 2014) to support these particular writers in this particular context. By arranging sessions in their workplace, we sought to meet writers at a location that was familiar and convenient for them. 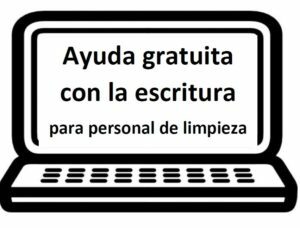 We also offered a bilingual Spanish tutor in order to provide support for writing in Spanish or English-translation. We attempted to choose convenient times by situating sessions between the first and second shifts on different days of the week. Finally, we communicated the sessions through multiple networks: emailing managers, housing departments, and custodian English language instructors to announce the sessions, making in-person announcements at custodial meetings, and inviting questions by phone (rather than just email) for those who may not have computer or internet access. Still, participants highlighted how important it was for the writers themselves to inform these conditions—how, for example, different days worked better for different shifts or what time parking in the lot across the street became free. In this context, such conditions were not merely logistics—they were the difference between being able to receive writing assistance and not. As writers worked on cover letters, resumes, English grammar, and emails, our sessions reflected that, not only were these individuals writing as part of their working and learning lives, but that the writing assistance they needed was not remedial. Rather, writers broached a number of topics common to both writing centers and writing across the curriculum work. Writers highlighted gaps in workplace writing support which had real consequences for their mobility. (4) For example, moving from a general custodial worker to lead worker and manager meant more English, computer-based writing responsibilities for which they needed to learn a number of new genre conventions. Accordingly, custodians in lead worker positions were increasingly learning to incorporate feedback about writing from managers who were similarly learning to give it. Writers expressed appreciating the space to discuss feedback and think about how to incorporate it in a less evaluative, high-stakes context. Writers who attended the sessions also shared the resourceful strategies they were already using as a part of their writing processes. For example, more than one writer explained how they used voice to text programs to write emails. Those who spoke multiple languages used the programs to translate and those who did not feel confident about their grammar and spelling used it to record a thought so that they could type it later when can spend more time. Others sought rhetorical support translating their vast experience to show potential employers they were a good fit for a particular position in cover letters and resumes. One benefit of these sessions was that we could connect writers to other university-sponsored resources they may not hear about otherwise. We told them about MWA—pulling up the web page and describing in detail where and when they could continue to work with free writing tutors in this way. We also showed them the university Writing Center’s Handbook which provided resume and cover letter examples and tips free online. These were resources they did not need to be a student or academic staff to use. But, as a part of this work, we can also ask the bolder question: what it would look like to distribute university resources more equitably in ways that acknowledged and supported the writing happening across all classes of university work? At Emerson College, academics, students, and workers have collaborated to create a bilingual writing project focused on immigrant narratives. As a group, they have founded the Mobility Movilidad Proyecto Carrito—a project that allows those often not acknowledged as academic writers to present in both public spaces and academic writing conferences with their stories displayed on their van. As Writing Center administrators and staff, we can ask how Writing Across the Curriculum and Writing in the Disciplines might be used to serve these writers—whether that is providing support for writers to incorporate feedback or to providing assistance with new genres. And, drawing from writers’ resourceful processes, what might these writers teach writing centers about how writing gets done in people’s everyday lives? Thank you to Brad Hughes, Annika Konrad, Kate Vieira, Nancy Linh Karls, Ana Vanesa Hidalgo Del Rosario and participating writers for their valuable help with this post and the greater project. Some universities and colleges that sponsor community writing programs and centers include but are not limited to the University of Iowa, the Ohio State University, and University of North Carolina-Chapel Hill, Colorado State University, and Salt Lake Community College (Rousculp 2014). Marko et al. examine discrepancies between the literacy practices encouraged of students and the college custodial staff. 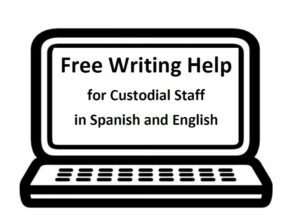 At UW-Madison, custodial staff have a unique opportunity to receive free workplace English classes. However, there are fewer opportunities to work specifically on writing of their choosing. Brandt, D. (2015). The rise of writing: redefining mass literacy. Cambridge: Cambridge University Press. Flower, L. (2008). Community literacy and the rhetoric of public engagement. Carbondale: Southern Illinois University Press. Marko, T., Osorio, E., Osorio, Sepensoki, E., Catalani, R. (2015). PROYECTO CARRITO when the student receives an “A” and the worker gets fired: Disrupting the unequal political economy of translingual rhetorical mobility.” Literacy in Composition Studies, 3, 21-43. Rousculp, T. (2014). Rhetoric of respect: Recognizing change at a community writing center. Conference of College Composition and Communication. National Council of Teachers of English. Vieira, K., Doggart, J., and Tedrowe, M. (2007) Minding the gap: Realizing our ideal community writing center. Community Literacy. 1, 71-80. *Featured photo by pan xiaozhen on Unsplash. This is fascinating and important work, Calley! I really enjoyed reading about the ways in which a university Writing Center can better serve its community of writers–all writers. Thanks, Calley, for this post! I enjoyed reading about some principles that can apply broadly to good Writing Center practice while also considering important questions about, as you state, conditions that aren’t merely logistics but make a material difference in whether or not someone can receive writing assistance in specific contexts. This is making me think more about “logistics” in writing centers broadly that can better enable participation. I also think your question about university resources is incredibly important and so useful for considering everyday writing that is crucial to the intellectual work of the university. I’m so glad to learn about your experience with this initiative, Calley! Thanks for sharing (and for introducing me to Proyecto Carrito–so fascinating!). Jumping off of Tori’s interest in logistics, I’m curious about the additional details surrounding this initiative. How long was each shift? I assumed the two tutors worked on different days? For how long did you promote this service before it officially launched? Is it still happening? This is so interesting that I find myself wanting to know more and more about how it all came together and what this experience suggests about sustaining these kinds of programs. Thank you Calley for this post, and thank you for your work and efforts to accomplish this project! Fue un honor poder ayudar en las sesiones y conocer sobre los retos lingüísticos que afrontan los custodios en su día a día. Ojalá sigan surgiendo más proyectos similares porque estos trabajadores se merecen toda la ayuda que se les pueda brindar, así como ganar visibilidad en la comunidad académica y en general. Thank you again!